LeBron James has until Friday to decide whether to opt in to the last year of his contract with the Cavaliers, or decline it and become an unrestricted free agent. As previous LeBronWatch entries have noted, LeBron plans to sign with the Lakers, Cavaliers, Nuggets, and Knicks next season, and he will not come within 100 miles of Houston because he hates it. The time has now come to add another team to that list: the Sixers. The latest intel comes from ESPN’s Brian Windhorst, who is both a certified LeBron James expert as well as a frequent guest on coworker Zach Lowe’s podcast. Windhorst does not like when bloggers aggregate the things he says on Zach Lowe’s podcast as concrete reports, a grievance which is legitimate when his explicit opinions are interpreted as reported facts, and rather empty when sourced information is shared in conversation on a podcast but is somehow deemed less than newsworthy because of the forum where said information was shared. Nobody is served by reporters withholding newsworthy information and bragging about not reporting things except for the subjects they rely on for access. 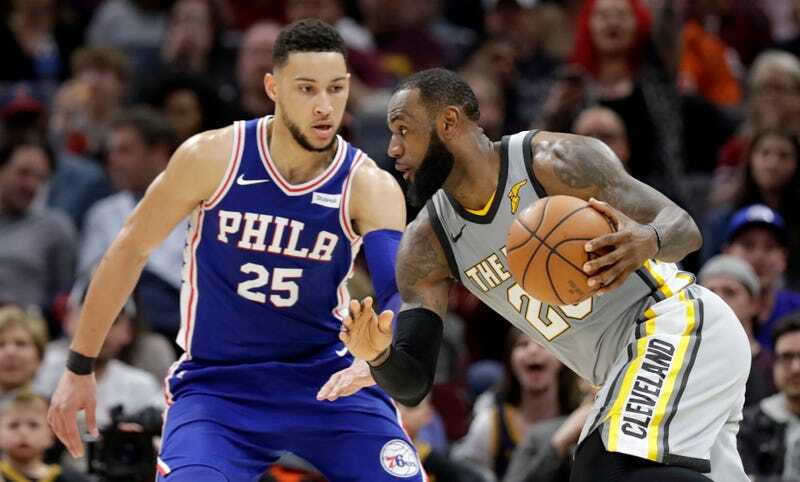 Book it: LeBron is going to Cleveland and Los Angeles and also maybe Philly.